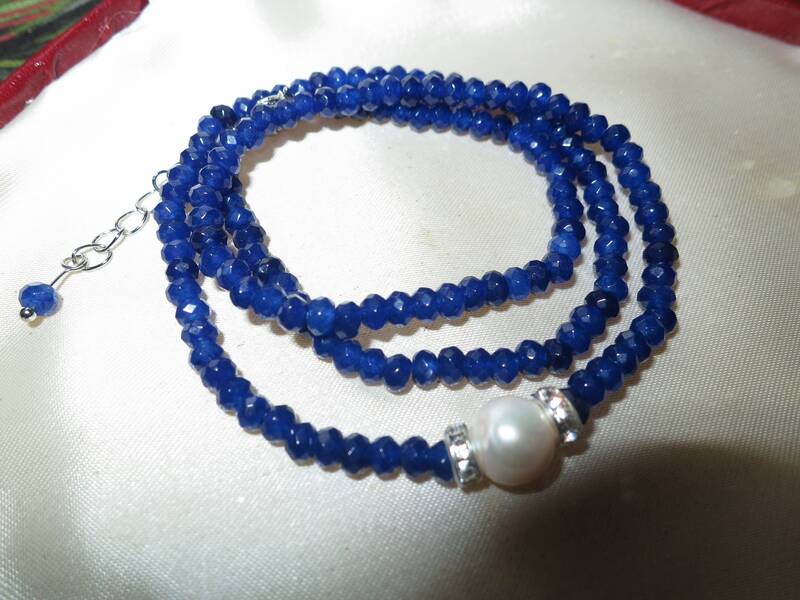 Lovely Natural Faceted 4mm blue sapphire and 10mm freshwater pearl necklace 18-20"
Here is a beautiful sparkly faceted 4mm natural blue sapphire and 10mm freshwater white pearl and crystal necklace 18-20 inches with silver plated clasp. 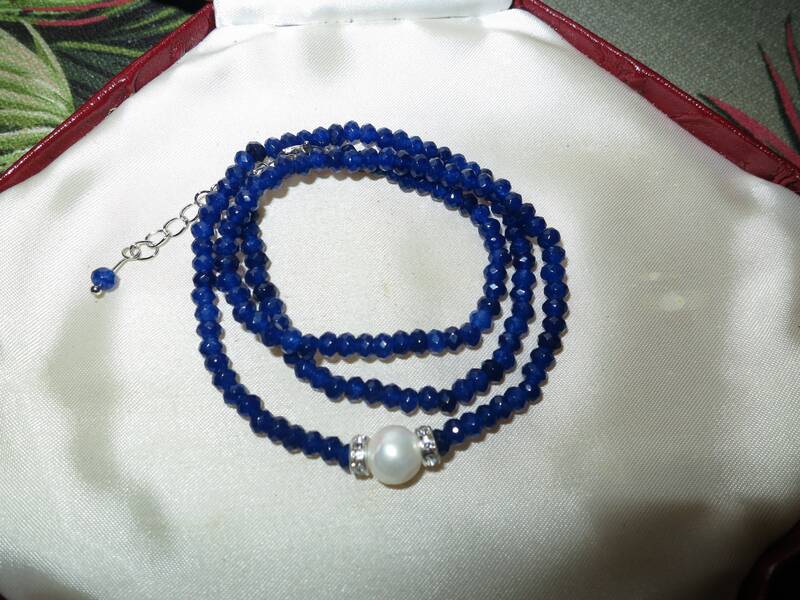 A lovely necklace. See also matching bracelets sold in store.